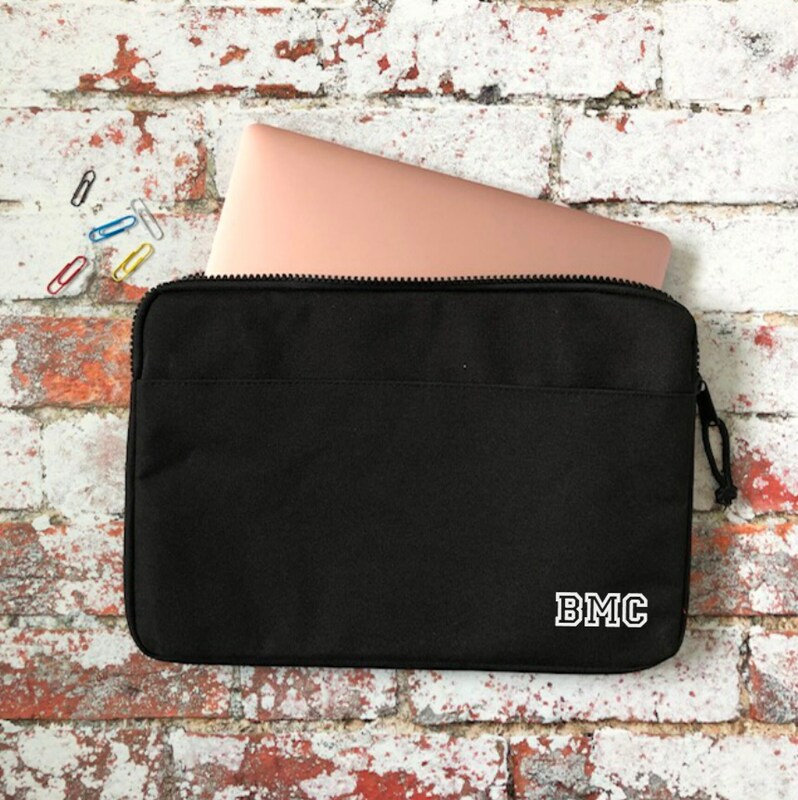 A personalised laptop case would make a great as well as an useful gift for someone who has everything. 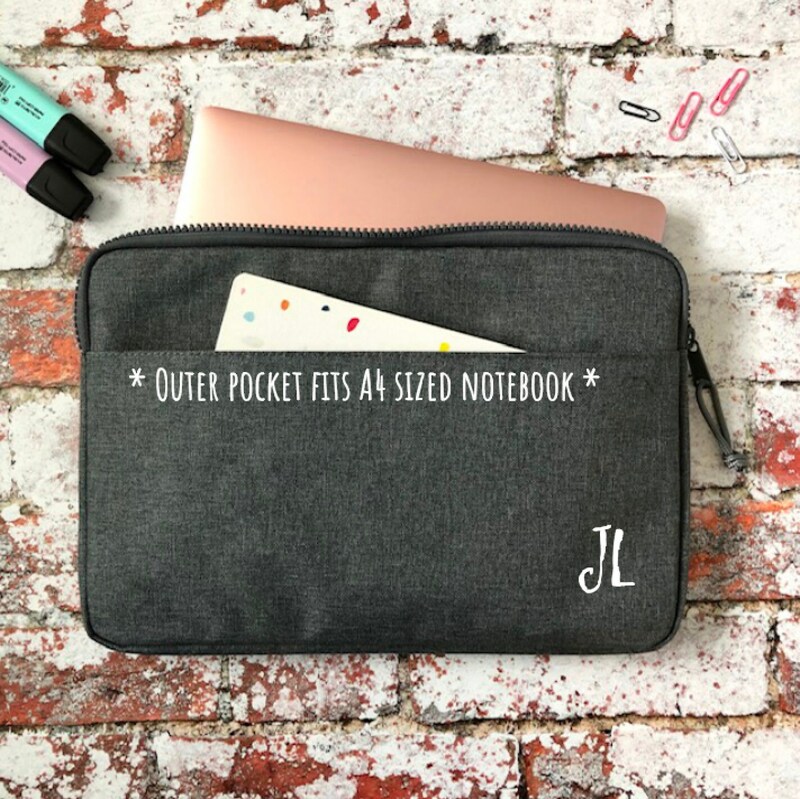 This case is nicely padded, has a contemporary chunky plastic zip and comes with one outer pocket (ideal for note pad). Comes in smart grey and black and the initials will be made in white. 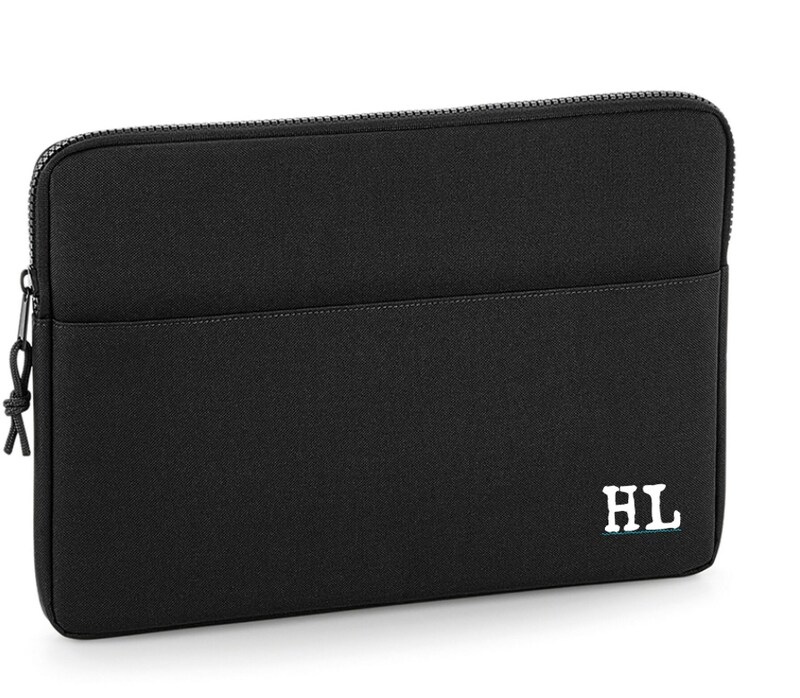 If you'd like them in black, just mention this in the personalisation box. 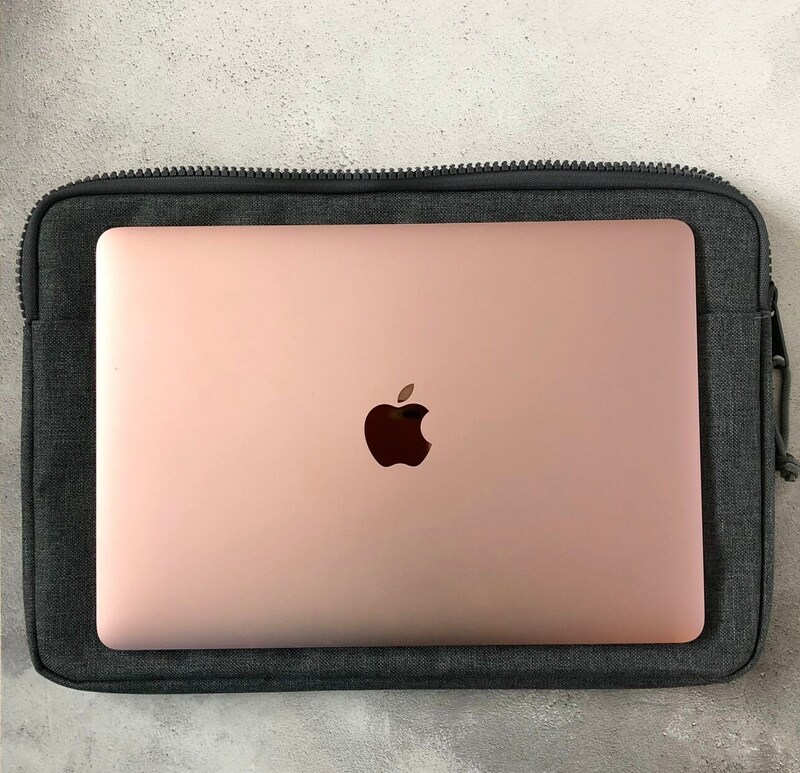 This laptop bag will fit a 13" MacBook Pro, MacBook Air or any other 13 inch sized laptop (please make sure to measure your device first if in doubt). 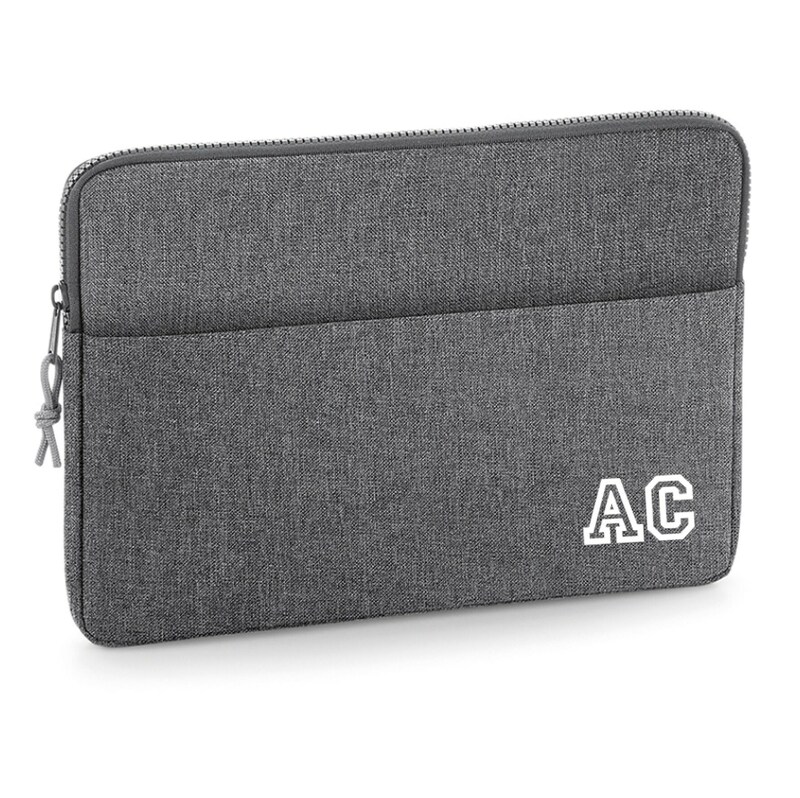 Also ideal for 12.9" iPad Pro. 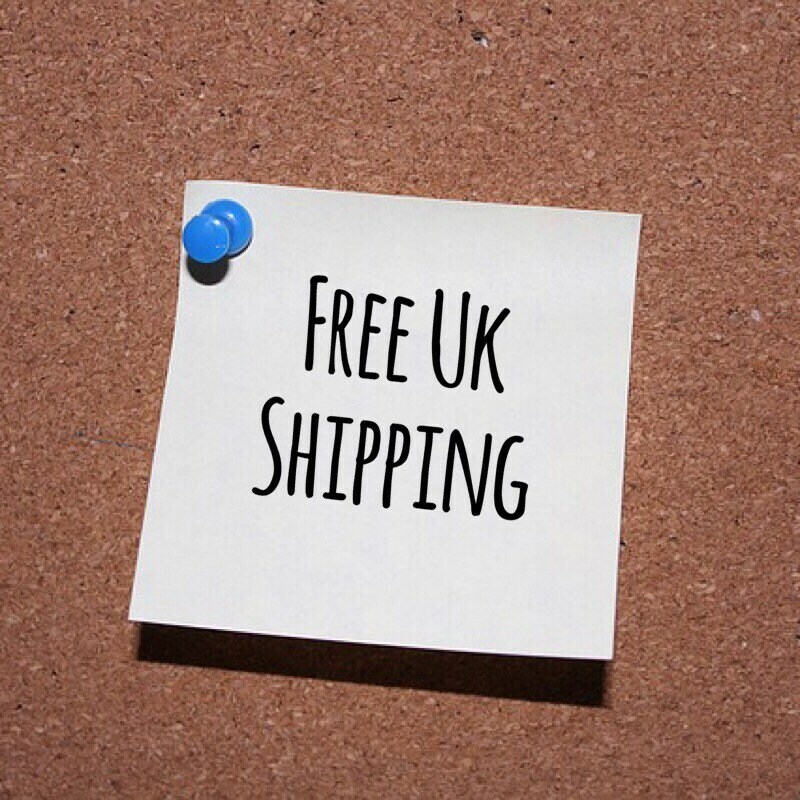 This listing is for a laptop case only - any props used in the pictures aren't included.